Slack line buyers guide how to choose the right slack like for you. How to set up slacklines. How to guide to setting up slacklines without tress. How to videos showing how to set up slacklines with single ratchet rigs, double ratchet rigs, primitive rigs and setting up slacklines without trees. Introduction to Long line walking guide. How to get started longlining and high lining and an introduction indo the pulley systems needed for longline walking. Introduction to yoga lining. A beginners guide. How to get started yoga slacklining, best slacklines for yoga slacking and beginner yoga slackliningmoves. Introduction to tricklining. A beginners guide. How to choose the right trickline, beginner safety, some beginner, intermediate and advanced tricks. 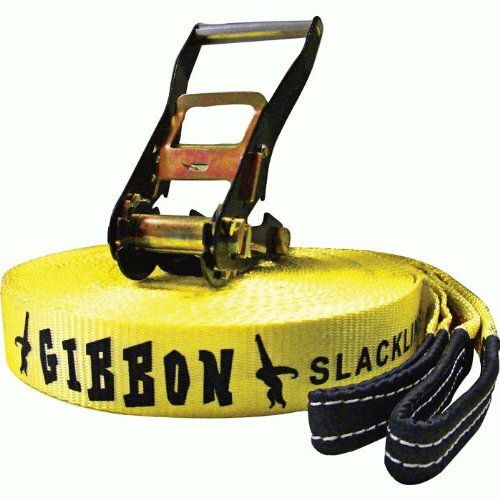 Gibbons slack line buyers guide find out the right line for you. 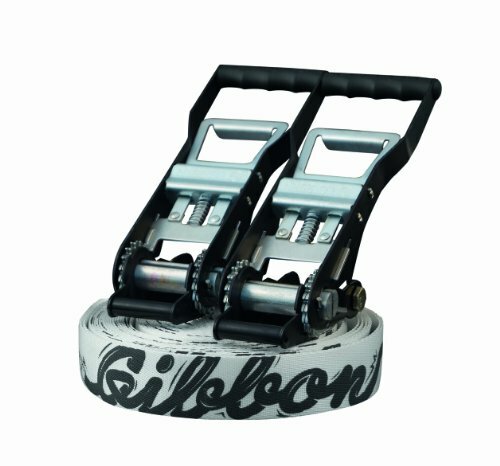 How to choose the right gibbons slackline for your style. 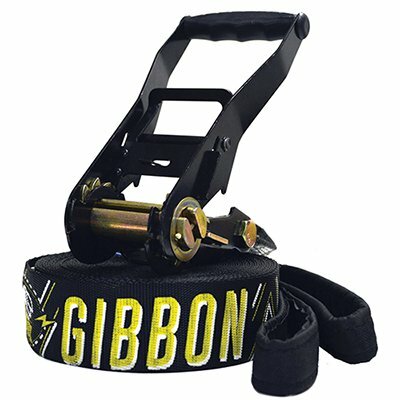 Gibbons has recently released a new line for slacklines the x-13 series but there are still a lot of the older model slacklines being sold. For a buyers guide for the modern X-13 series look at the bottom of this page. Slackline safety find out how to avoid the dangers of slackline injuries. Lean the most common slackline injury's so you can try to avoided them. Find out the proper way to detention a stuck slackline. Slacklines are great tools for developing balance they are fun, cheaper, easier to set up and more portable then tight wires/ropes and balance beams. Slacklining has become very popular in the last few years this has caused manufacturers to come out with many different types of lines. The sport of slacklining has taken off in few different directions all of witch have lines suited to meet the needs of the different styles of slacklining. Ask yourself what style appears most interesting to you. 1. Yogalining is for you if you see yourself slowly walking down the line and holding static and dynamic yoga poses. 2. Tricklining is if you see yourself bouncing on the line like it is a mini trampoline and preforming aerial maneuvers. 3. Long lining is for you if envision yourself walking long distances on the line. It is also a good place to start if you want to get into high lining. Additionally long lines can be used for slackline surfing witch is standing in the middle of the line and riding it by rocking it side to side. 4. High lining is setting a line high off the ground hooked up between, canyons, mountain tops, buildings or any other dare devil situation you can image. Choosing a slackline for beginners. More advanced slackliners tend to buy their slacklines piece by piece instead of buying a complete kit so they can build their slackline to their exact specifications. As a begginer i would say to avoided this because it can become overwhelming trying to choose the right slackline webbing(the line you walk on) and rigging pieces that would be best for you when you don't have any actually slackline experience.By the time you get to an intermediate level you will start to figure out what direction you will want to take slacklining and then you can start building a complete slackline kit around that. Choosing a slackline webbing length. The best choice for a beginner trickline would be between 40 to 100 ft or 12M to 30M. Longlining is technically considered walking on a line over 100 ft (30M) on an 1 Inch (25mm) but a 100Ft (30m) line would be a good place for a beginner to start. For Yoga lining around 15m would be a good place to start. Choosing a slackline webbing width. 2 Inch / 50mm lines are good for beginners and makes learning tricks easier for trick liners. 1 Inch / 25mm lines offer more of a challenge and are preferred by long line walkers, some advanced trickliners and high liners. Some of the reasons they are preferred is because the lines are cheaper and it is easier to get the line at the preferred tension. For yoga slackliners it is a matter of preference. Choosing the feel of the webbing. Many trickliners would say having a line with added grip is necessary where as yoga liners and longliners would say they want the line to feel soft to the touch but it is a matter of preference for them. One ratchet rigs are simple and quick to set up. Two ratchet rigs offers more control on the tension of the line witch is good for tickliners and longliners but are a little harder and more time consuming to set up. One downside of ratchet systems is that if the line is not perfectly aligned in the ratchet the edges of the line can get frayed up. Primitive rigs are pieces of climbing rigging equipment used to set up a slackline. It can be more time consuming and is a lot harder to set up then ratchet systems. Additionally primitive rigs are not good for tricklining. But on the positive side it is sometimes cheaper then a ratchet system, easier to travel with due to not having large bulky ratchets and you don't have to worrie about the mechanical failure of a ratchet This lines should be avoided by beginners in less you are the do it yourself type that is good with working with your hands because you are going to have to learn some rigging skills. Pulley systems are mostly for lines over 100 feet (30M) or advanced trickliners. Slackline pulley system are very expensive they can cost over 1000 U.S. Dollars and require advanced rigging skills to set up they are not recommend for beginners. Check out my beginners guide to long lining for more information on pulley systems. 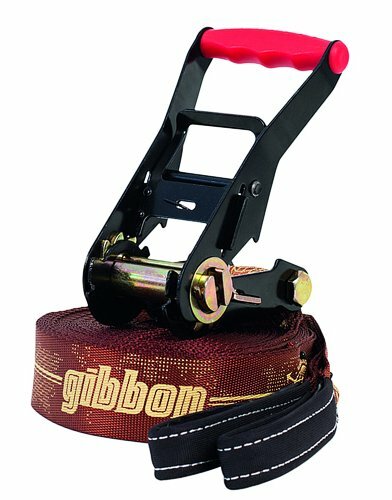 While some people in the slackline community look down on gibbions slacklines and prefer slacklines that are more costly and take more skill to set up i think gibbons is a good choice for a first slackline for a number of reasons. 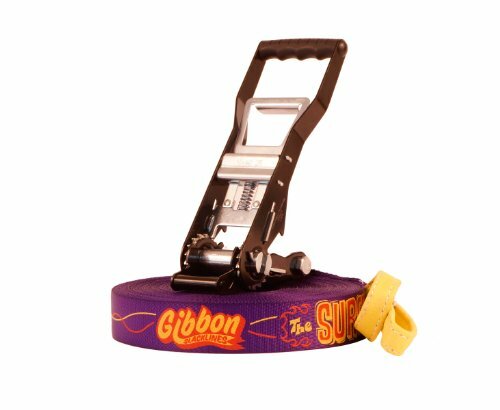 Gibbons slacklines are relatively cheap. So if you find your not all that into slacklining you don't lose out on a lot of money. The ratchet systems are much easier to set up then primitive rigs or pulley systems. They are safer when taking them down. Detensioning a slackline can be really dangerous on a primitive rig or pulley system if you don't know what you are doing or it gets jammed up. 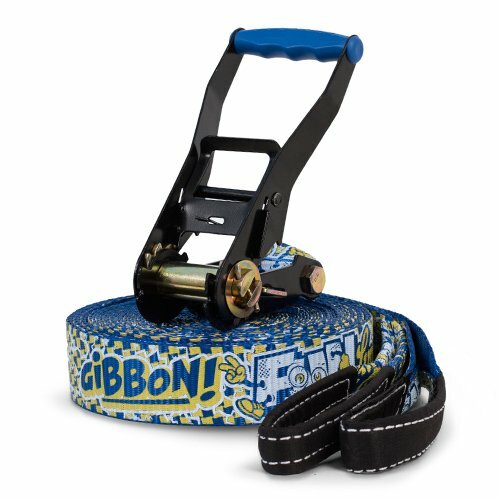 Buying a high performance slackline is a bit over kill if all you are going to be doing on it is beginner/intermediate level stuff. But if you want to spend the extra money on a high performance pully system or cheap primative rig and are willing to put in the time to learn the rigging skills required to set it up and take it down then go for it. This line is 2 inches / 50mm wide. Available in 41 Feet / 12.5M and 74 Feet / 23M line lengths. Best for absolute beginners, children and casual use. Can be used for basic tricks. Line is 49 ft / 15M long. Smaller and lighter weight makes it easier for travel. This line is designed to be used for yoga lining. Great multi purpose line. Can be used for tricklining, line surfing, getting into longlining and yoga lining depending on how long you set the line up and how much tension you put on it. This line would be a good introduction to using 1 in lines also it would be good if you eventually want to get into long lining or high lining. This line is designed to be used as a trick line it has lots of bounce. The line is 72 ft/ 22M long. Ratchets come with straps that are used to secure it to a tree this puts less wear and tear on the line it self. Line has visual markings on it to show the spot that will give you the biggest bounce. This is a trickline probably best for someone with some slackline experience.